Where's the beef? On October 3rd, Wendy's is going nationwide with their upgraded line of cheeseburgers. 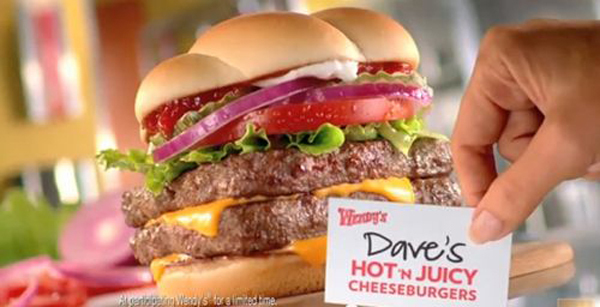 Dave's Hot 'N Juicy Cheeseburgers, which have been named from THE Wendy of Wendy's herself (as an homage to her father, who named the chain after her) will feature a thicker, juicier beef patty and new premium toppings, all between a warm, buttered, toasted bun. The newly upgraded line of burgers will also be available in single, double, or triple patties. As its debut nears, will the burger become a worthy competitor of McDonald's Angus Beef Burgers, or will it begin a whole new competition of its own? No word of its pricing as of yet, but we'll see once the date gets closer!